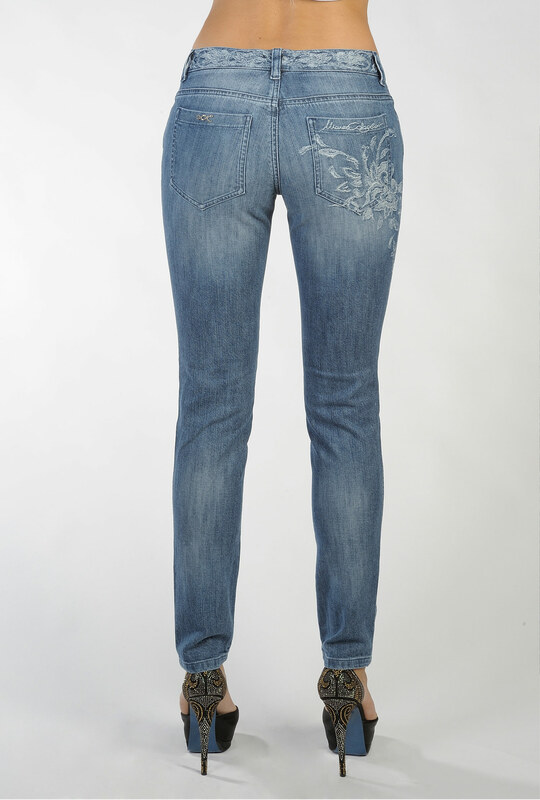 Jeans with 5 pockets in elasticised jacquard fabric in silver lurex that creates a floral pattern. Short model with low waist. 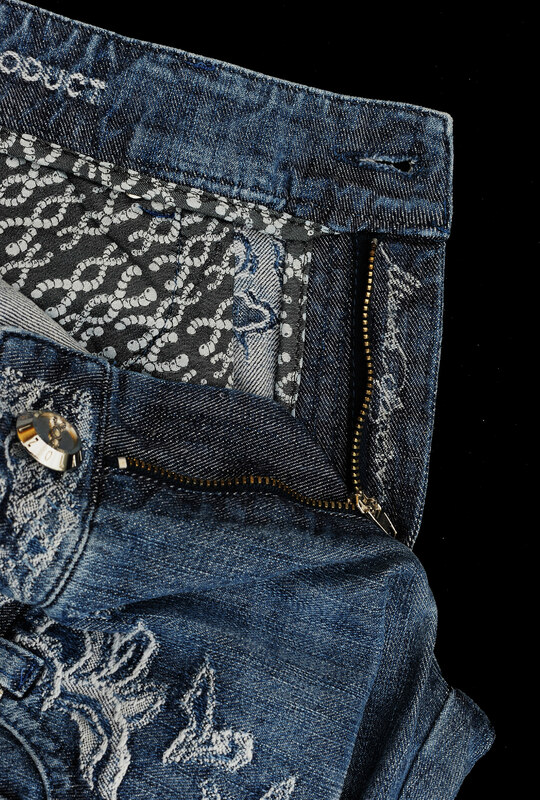 Internal pockets in jacquard fabric. 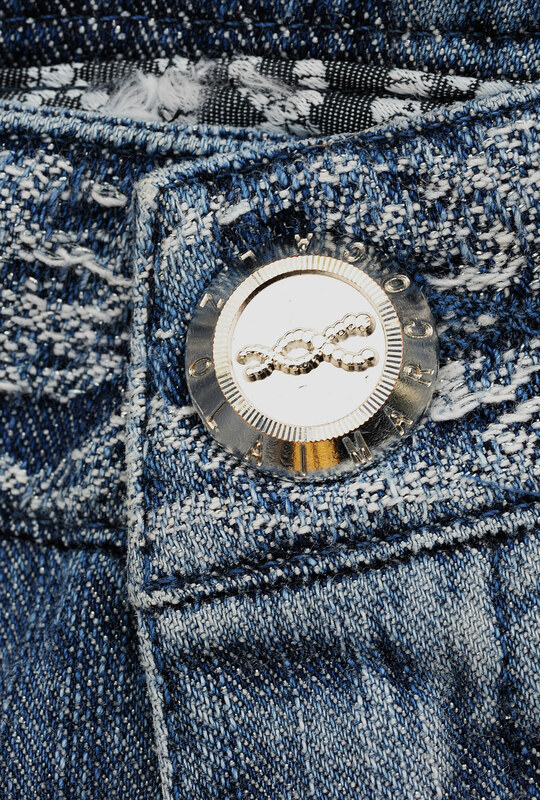 Accessories in silver, buttons and rivets in diamond cutting and DNA logo on the back pocket. Packaged in a box with the brand name to enhance the value of the garment purchased.